Here at Holbury Tool Hire, we have over 26 years of successful experience in providing our customers with an extensive range of high-quality products at competitive prices. 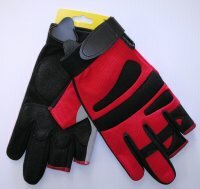 For specialist safety equipment and branded work wear, get in touch with Fawley Safety & Workwear at Holbury Tool Hire. We are always happy to offer advice, so make sure to call us for safety and protective equipment in the Fawley, Waterside and Southampton areas. 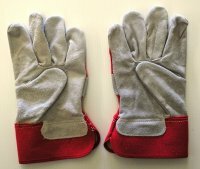 Bargain price general purpose glove. 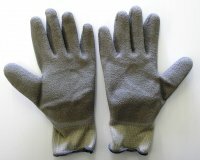 Interlocked lined, knitted wrist, PVC coated glove. Approved to BS EN 388:1994. 3. 1. 2. 1. 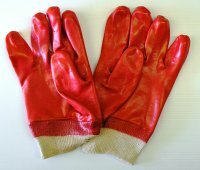 General purpose, very dexterous seamless glove, offering good grip on oily surfaces. Approved to BS EN 388:1994. 4. 1. 2. 1. 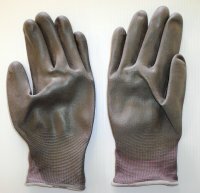 Very dexterous glove suitable for mechanical fitters. PVC coated for excellent grip. Elasticated knitted secure fitting. Ideal for light handling tasks. Approved to BS EN 388:1994. 1. 1. 3. 1. Good abrasion and cold materials/atmosphere handling. 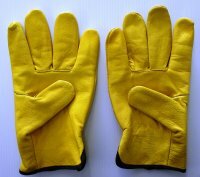 Ambidextrous, 14" long cowsplit leather gauntlet, with welted seams and cotton fleece lining. Approved to BS EN 388:1994. 3. 2. 4. 4. 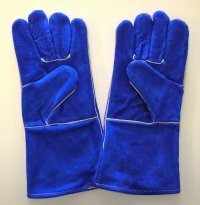 Extremely popular split leather palmed, cotton backed, fleece lined glove with integral vein patching. Approved to BS EN 388:1994. 2. 1. 3. 3. 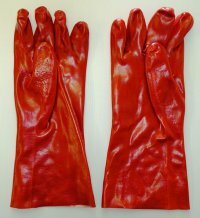 Range of latex and nitrate examination gloves. 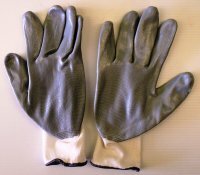 Heavy duty chemical resistant gauntlet resistant to alkali's and acids. 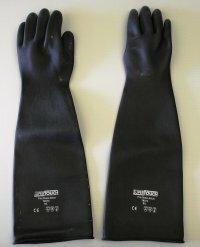 PVC coated - both tough and flexible. Approved to BS EN 388:1994. 4. 1. 3. 1. 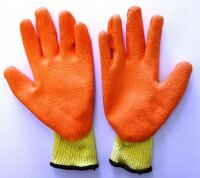 To find out further information about our safety gloves and hand protection range, please don't hesitate to call our team today on 023 8089 1839.